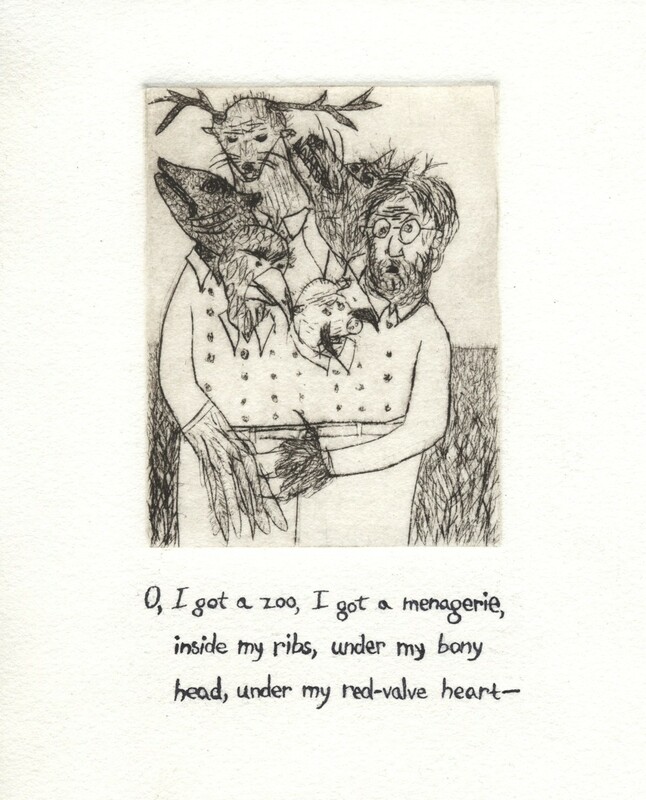 Drypoint illustration, with pen and oak gall ink script on paper. Made while in residence at the Center for Book Arts in 2012. The text is a fragment from the poem “Wilderness,” by Carl Sandburg. 5 1/2″ x 6 3/4.” There is one copy for sale in the Emporium.